Lesbos is an island located in the northeastern Aegean Sea. It has an area of 1,633 km2 with 320 kilometres of coastline, making it the third largest island in Greece. It is separated from Turkey by the narrow Mytilini Strait and in late Palaeolithic/Mesolithic times was joined to the Anatolian mainland before the end of the last glacial period. Lesbos is also the name of a regional unit of the North Aegean region, within which Lesbos island is one of five governing islands. The others are Chios, Ikaria, Lemnos, and Samos. The North Aegean region governs nine inhabited islands: Lesbos, Chios, Psara, Oinousses, Ikaria, Fournoi Korseon, Lemnos, Agios Efstratios and Samos. 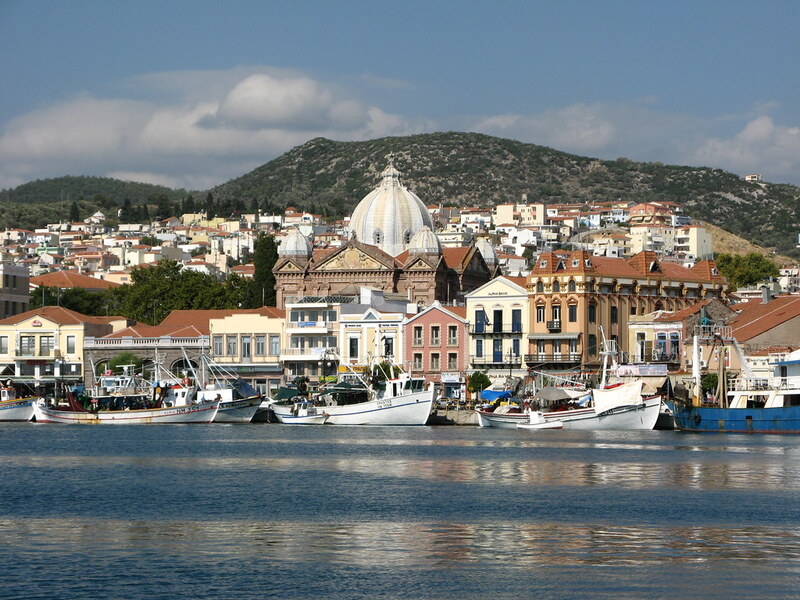 The capital of the North Aegean Region is Mytilene. The population of Lesbos is approximately 86,000, a third of whom live in its capital, Mytilene, in the southeastern part of the island. The remaining population is distributed in small towns and villages. The largest are Plomari, Kalloni, the Gera Villages, Agiassos, Eresos, and Molyvos. According to later Greek writers, Mytilene was founded in the 11th century BC by the family Penthilidae, who arrived from Thessaly and ruled the city-state until a popular revolt led by Pittacus of Mytilene ended their rule. In fact the archaeological and linguistic record may indicate a late Iron Age arrival of Greek settlers although references in Late Bronze Age Hittite archives indicate a likely Greek presence then. The name Mytilene itself seems to be of Hittite origin. According to Homer's Iliad, Lesbos was part of the kingdom of Priam, which was based in Anatolia. Much work remains to be done to determine just what happened and when. In the Middle Ages, it was under Byzantine and then Genoese rule. Lesbos was conquered by the Ottoman Empire in 1462. The Ottomans then ruled the island until the First Balkan War in 1912, when it became part of the Kingdom of Greece. Lesbos lies in the far east of the Aegean sea, facing the Turkish coast from the north and east; at the narrowest point, the strait is about 5.5 km wide. The shape of the island is roughly triangular, but it is deeply intruded by the gulfs of Kalloni, with an entry on the southern coast, and of Gera, in the southeast. The blue markers shows the location of various accommodations in Mytilene. The letter in the marker describes the accommodation types: H for Hotel, A for Apartment, R for Resort, B for Bed & Breakfast and O for Other (e.g. pension, villa). Click on the blue marker for more information on the accommodation.